What have you got for us today? Love that style of house! Sweet door decoration. 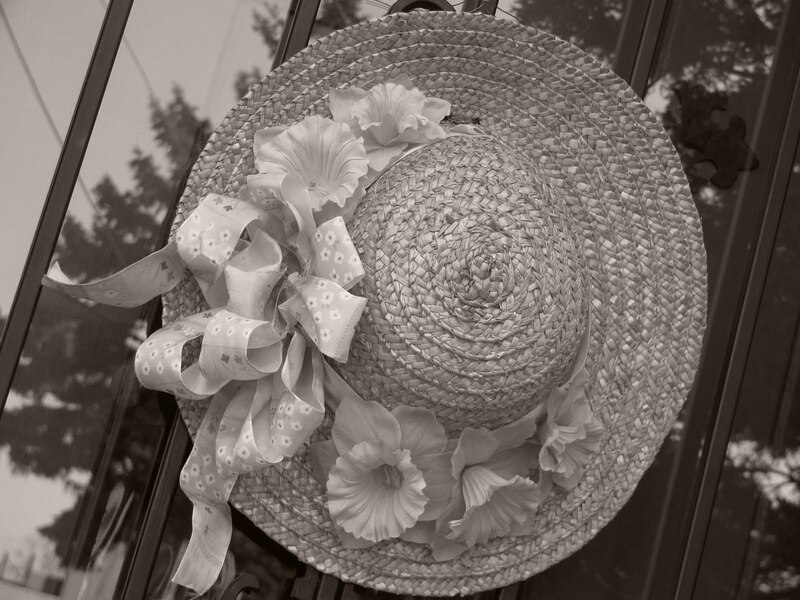 The straw hat is beautiful in sepia, the welcoming decoration that is inviting, too. reminds me of that song "Easter Parade" the one about all the pretty Easter bonnets. This is a most lovely hat! Is it sepia, I men, isn't that almost the same color for the good straw hat? Welcome spring decoration, anyway... Mexican Vanilla (whole text). 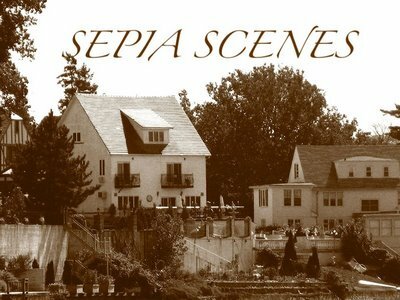 Here is this week's sepia entry. I just love the young lady on the right! What poise! Cops in Bexar County - it's Fiesta Time! My post is the Mystic Cross to welcome Easter and Lent ! !